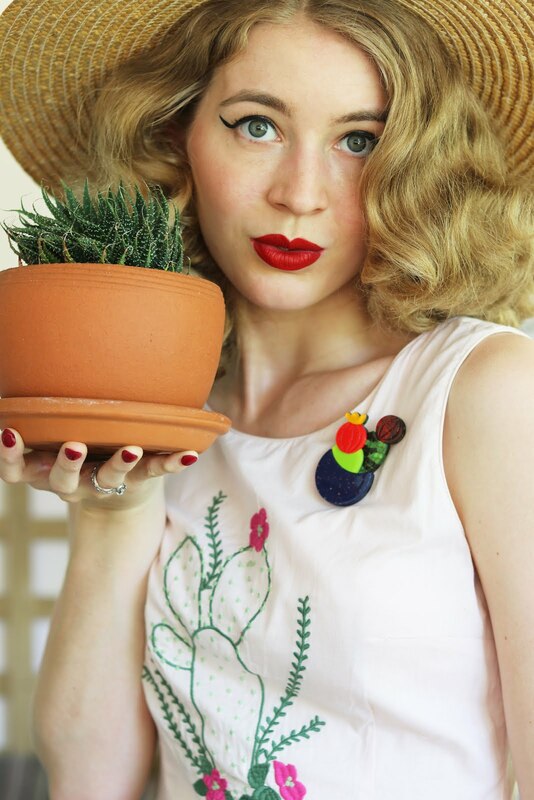 GracefullyVintage: Koi Fish On My Dress! Koi Fish On My Dress! I am in loveeeeeeeeeeeee with this dress! 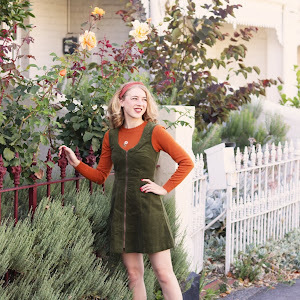 It is so pretty and PERFECT for Australian Spring and Summer weather! I bought it a couple of months ago and it has already gotten plenty of wear. I also adore the constructed boning in the bodice and the high quality fabric (with the most amazing print may I add)! Oh and those cute tie straps - Perfect! I drove to Newcastle today with my mum and brother to have a bit of lunch and a walk around, I didn't get any photos there because we were in a bit of a rush and didn't have a lot of time. I also bought my first Lime Crime lipstick (Lime Crime Velvetines: Red Velvet)! It is amazing, I think this will be my go to red lipstick and I have been wanting a stay-proof lipstick that really does work! The weather has been sunny but not overly hot which has been enjoyable and allowed for good hair days! Oh happy days! That Bernie Dexter dress is so lovely on you! I'm so jealous that your winters are so much shorter than ours! As much as I love fall, I'm yearning for warmth again... I'll have to live vicariously through you! aaaaw how adorable is that dress. bernie dexter dresses are to die for! you look so beautiful!! Looks beautiful! I have this dress and I love it!